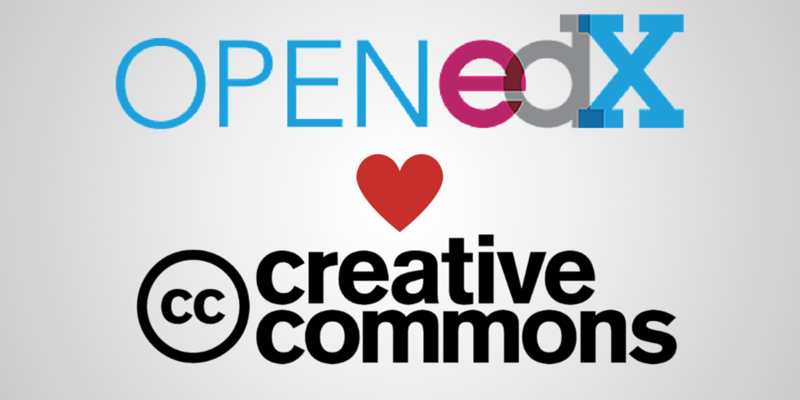 Open edX Releases Creative Commons Licensing! We are pleased to announce that the Open edX platform is now incorporating Creative Commons licenses for sites that choose to offer them! This feature is currently live on edx.org, and site operators will get the functionality when they update their version of Open edX. Turning the feature on is as easy as setting the feature flag LICENSING to True. Once the site enables course-level licensing, course authors can easily choose a CreativeCommons license for their courseware. They may optionally override the license for video units, which enables more flexibility to include copyrighted videos but allow other course materials to be reused and remixed by all. See the edX Course Guide on Creative Commons licenses (for learners or course authors) for more detail. A big thank you to FeedbackFruits, who developed a prototype of the Creative Commons licensing functionality at the TUDelft Hackathon in 2014. The Open edX team helped bring the work over the finish line to make sure that all courses have the option to take advantage of Creative Commons licensing. Read more about Creative Commons licensing, and why it matters so much to online education, over at the Creative Commons blog!